Ah, Dubai. That glitzy desert mirage of five-star hotels, indoor ski slopes, and massive malls. Selling itself as the ultimate tourist destination, it offers a gilded version of Middle Eastern life. However, most travelers never see the real city behind the shiny facade. If you want to experience genuine Arabic hospitality, Oman is the place to go. Set on the southeast coast of the Arabian Peninsula, this beautiful country feels a world away from the glitzy skyscrapers of the neighboring United Arab Emirates. Mainly closed to outsiders before 1970, the last few years have seen a huge amount of development in Oman — but, luckily, it still offers an authentic Middle Eastern experience. If you’re looking to see minarets instead of malls and experience history instead of hedonism, here’s why you visit Oman and its capital city, Muscat. 1. It has a beautifully diverse range of scenery to enjoy. Whether you’re looking to dive, sand-board, hike, swim, or explore a wadi, there’s no shortage of ways to take in the landscape of Oman. The country offers a surprisingly diverse landscape, and although it’s not as well known as, for example, Sharm el-Sheikh in Egypt, it has amazing dive sites and a beautiful array of untouched coral. Nizwa offers a massive range of hiking opportunities, and you can avoid the heat in the mountains or the oasis city of Salalah. The city is flanked by gorgeous hills and a clean, beckoning waterfront lined with people enjoying the typically warm, sunny weather. 2. 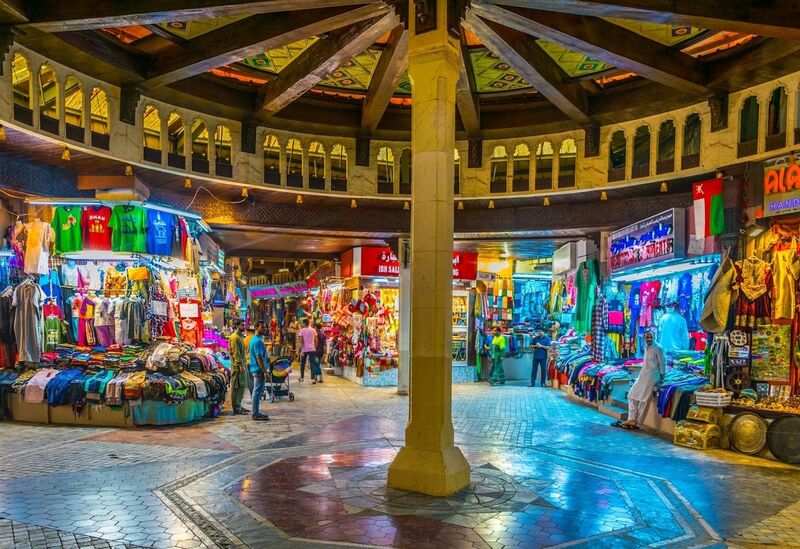 You can learn about Omani history in the markets, museums, and mosques. While the United Arab Emirates also has a fascinating history, sometimes this feels a bit lost in all the ritzy glamor of Dubai and Abu Dhabi. 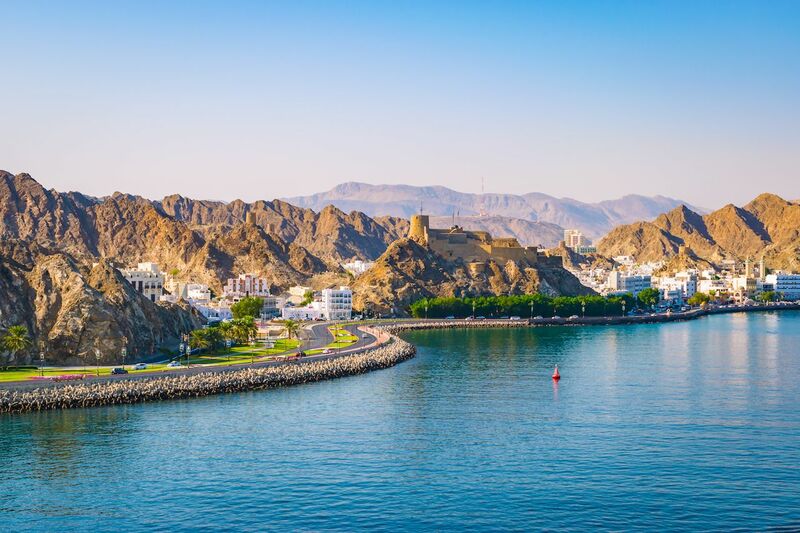 In Oman, however, the history of this key trading port takes center stage. You can visit the Bait al Zubair Museum, a beautifully curated private collection, or the stunning Sultan Qaboos Grand Mosque, open to Westerners wishing to learn more about Islam. Residents in Muscat are notoriously friendly to visitors and eager to share their history and culture — a way of life many believe is at a crest in the 21st century. Sultan Qaboos bin Said al Said has served as the absolute monarch of the country since 1970 and, despite being a one-man show, is beloved among Omanis and credited for ushering in their current era of prosperity. 3. 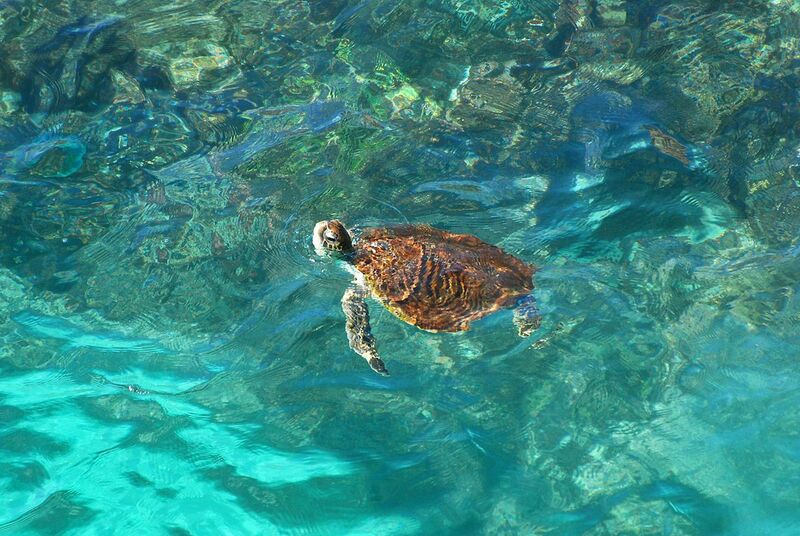 You can swim with the turtles at Ras al Jinz or watch the dolphins in the Gulf of Oman. If you visit in the hotter months — between May and October — you can see turtle nests along the beach at Ras al Jinz and watch baby turtles scuttle their way across the sand. Alternatively, if you are more interested in watching dolphins surf the waves, take a short cruise in the Gulf of Oman. Land lovers need not fear — inland, you can see oryx, gazelle, and migratory birds. 4. It rivals Dubai in the gorgeous hotel stakes. 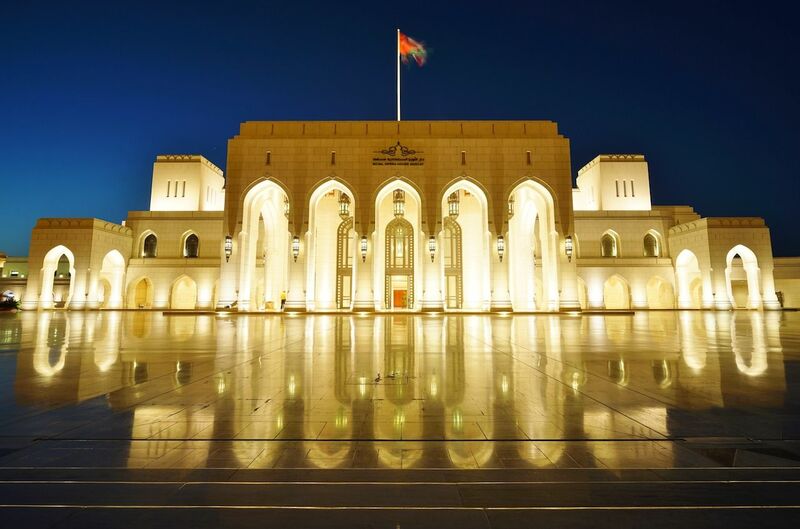 Since the 1970s, Muscat has developed into a modern and diverse capital city. Efficient infrastructure makes getting around the city a breeze. Also, with the adjacent Gulf of Oman serving as a major trade route for oil and gas as well as commercial goods, the economy is booming. As such, there is no shortage of eye-catching lodging begging visitors to stay, both tourists and business folk. 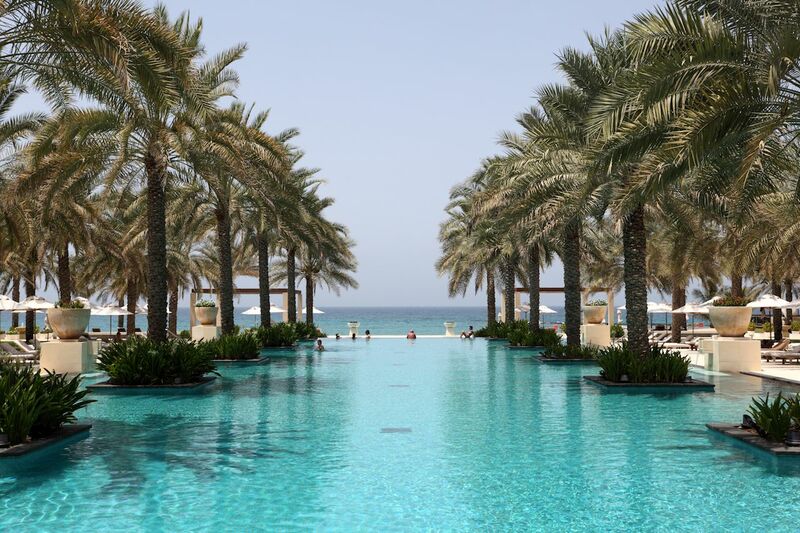 A prime example is the Al Bustan Palace. Originally built to provide private housing to friends of the Sultan, this sumptuous hotel, managed by the Ritz Carlton, gives Dubai hot spots a run for their money. The Chedi is well known as being one of the best luxury resorts in the region, and with fancy hotels scattered throughout the country, you won’t be at a loss for a fabulous place to splash out on. 5. It’s a LOT quieter than its flashier neighbors. When traveling, many people like to visit busy, bustling places. However, if you want a more relaxed setting, Oman really delivers. Local towns still retain Bedouin values and beautiful architecture. Laid-back and relaxed, Oman offers a positive approach towards an optimistic future while recognizing its traditional past. This is true both within and outside of Muscat. Though a thriving metropolis of over 1.5 million residents, the city retains a vibe attuned more to traditional culture than contests over who can build the tallest skyscraper or source the most expensive dinner menu. 6. You’ll be welcomed by the famous Omani hospitality. Omani people are known to be some of the most welcoming and friendly in the region, and you’re likely to be greeted with smiles wherever you go. If you’re lucky enough to be a guest in someone’s home, you can expect to be greeted with delicious local coffee and dates. You might even be treated to some halwa, a tacky confection that, as good as it is, is likely to stick your teeth together. 7. You can head to the hills if you want to escape the city. 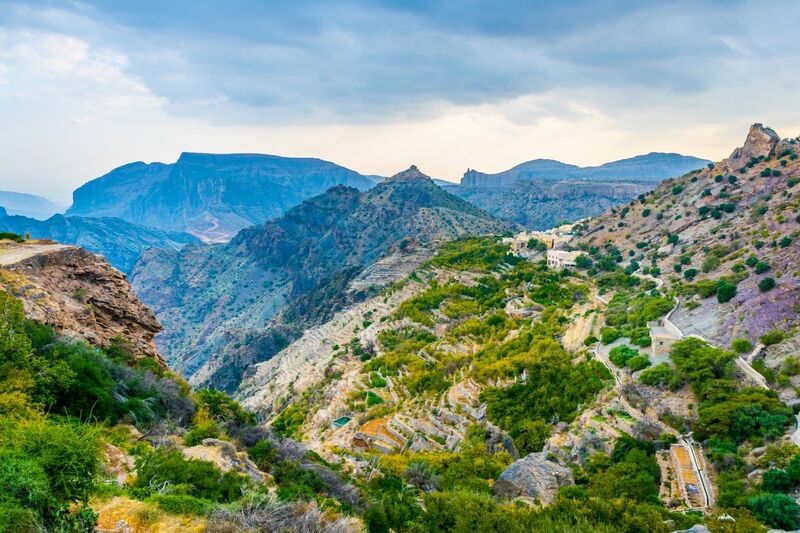 Known as the Green Mountain, Jebel Akhdar is located 2,000 meters (about 6,500 feet) above sea level. With abundant rainfall, the hills are full of apricots, peaches, grapes, and roses, much of which is used for sweets and perfume. A day trip from the ancient city of Nizwa, about 1.5 hours south of Muscat, the mountain is a refreshing place to visit on a hot day and a great place to find a dose of outdoor adventure. Bring a light jacket, however, as the air is considerably cooler once you reach the peak by 4WD. 8. Muscat is the cultural capital of the Arabian peninsula. 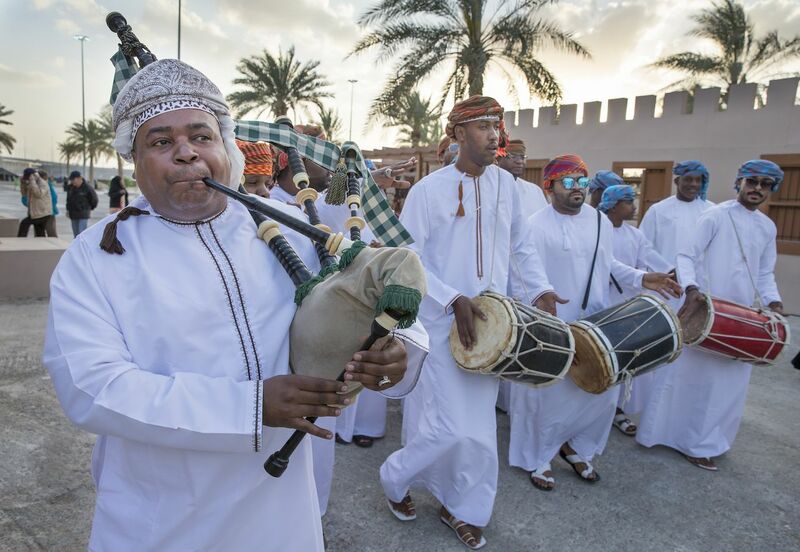 The Omani people are proud of their heritage but have also been receptive to the languages and cultures that have passed through their port over the years. You can stroll along the Muttrah Corniche and hear all sorts of foreign tongue being spoken or catch an opera or ballet at the jaw-droppingly gorgeous Royal Opera Hall. Work your way through markets and past street vendors hawking souvenirs, and be sure to check out The National Museum, where you can view ancient Middle Eastern artifacts and read up on the country’s history. The domed Sultan Qaboos Grand Mosque and its giant chandeliers are worth a visit and a photo, as is Bait Al Baranda, a smaller museum showcasing Omani culture and heritage. 9. 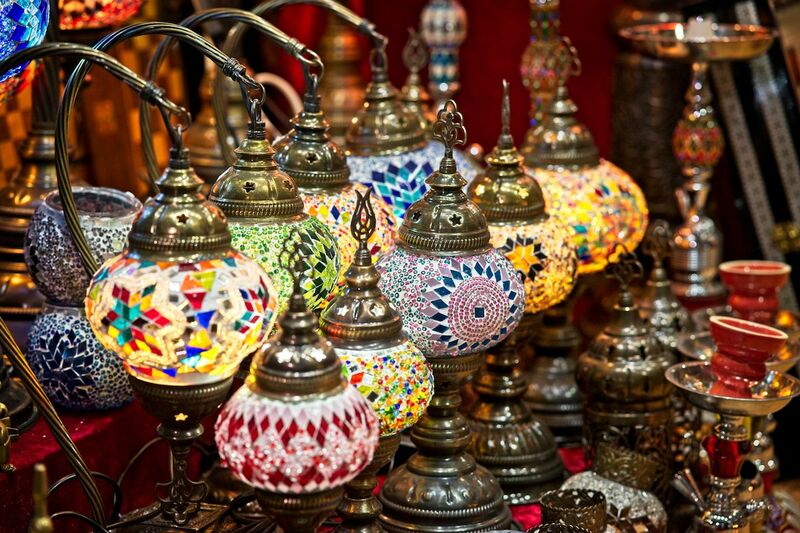 The markets have it all — food, fun, and frankincense. 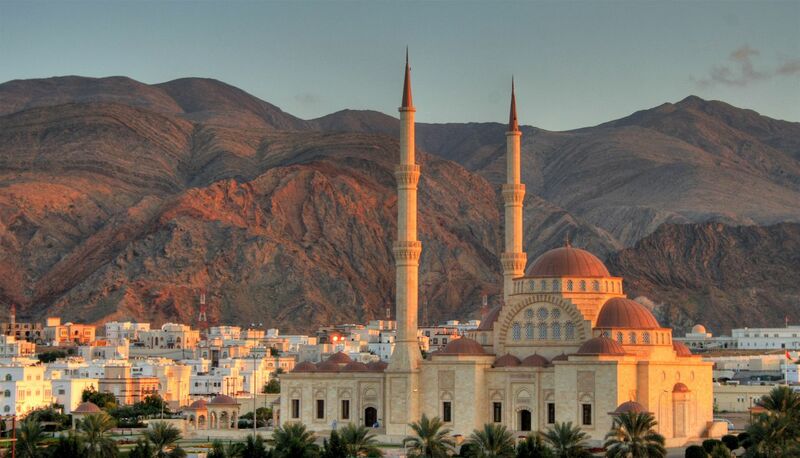 Oman is famous for its amazing souks, or traditional marketplaces, and Muscat is no exception. Whether it’s fresh fish (try the kingfish curry), oil, spices, nuts, dates, or textiles, there is something for everyone. You can test your haggling skills by buying leatherware and gold jewelry or do some people-watching — particularly when the locals whip out their own haggling skills.